Cream-cheese icing is really sweet, but doesn't hold as well as the buttercream, so you should use it only for cupcake icing. Before you start, make sure that all ingredients are at the room temperature, otherwise the cream-cheese won't mix with butter! Sieve the icing sugar into a large bowl. Make sure that the cream-cheese you're going to use is not too moist—any excess moisture should be taken away before mixing (this little bit of fluid that usually stays at the bottom of the container). I have'd very bad experience with the raw cream-cheese (too wet), but it worked beautifully with Philadephia, which was more sturdy and less wet. Place all of the butter and cream-cheese in the mixing bowl and cream it for at least 5 minutes until light, pale na fluffy. Make sure both of the ingredients are well-combined before the next step. If the icing is too thick, you should add more cream-cheese (or butter), or add more icing sugar if it's too runny. 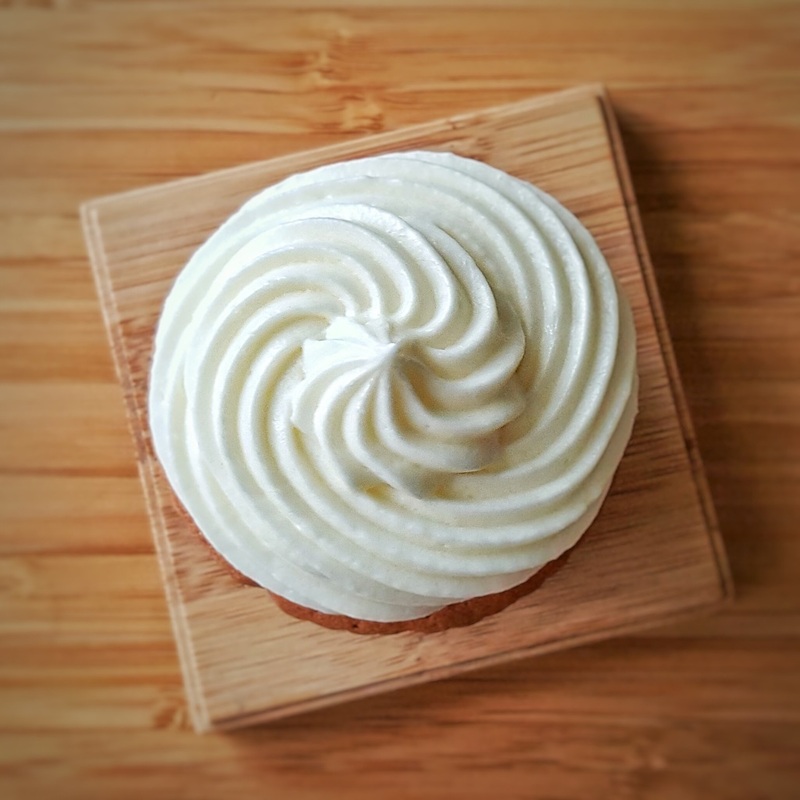 Cream-cheese icing is drying when piped into a cupcake, so let them sit undisturbed for at least 15 minutes to form a thin crust before serving.